HOWCH held a meeting in November 2018 with a shout out for talent! The name comes from similar schemes for Older Women’s Community Housing (OWCH). This group added the “H” for Hastings. It was started in October 2017. Brekke Larsen explained the vision behind HOWCH was from Denmark where her godfather lived in a co-operative housing scheme. This enabled him to maintain his independence whilst ensuring that he was never lonely. Many years later, Brekke’s niece separated from her husband and went to live with her children in a shared development. In this scheme, everyone had their own front doors but with some shared amenities. There is now a movement towards this type of development in the UK. Action for Rural Sussex is one such organisation that is involved in providing advice and support for such schemes. There are about 200 Community Land Trusts (CLTs) around the country e.g. Bristol, York, Brent (the most famous). This type of scheme also features in Hastings Borough Council’s (HBC) manifesto. In some ways, CLTs fill the gap left by the reduction in council housing. This is the background to the idea behind HOWCH. It is not for profit. No-one will make money out of this – it is only for the community. There are now 5 people in the Steering Group. Stage 3 funding has been applied for. This will enable HOWCH to set up a legal entity, create a website etc. The next stage is to take this to the community to see what the reaction might be. The Steering Group want to be sure that what they are doing is what the community are interested in. 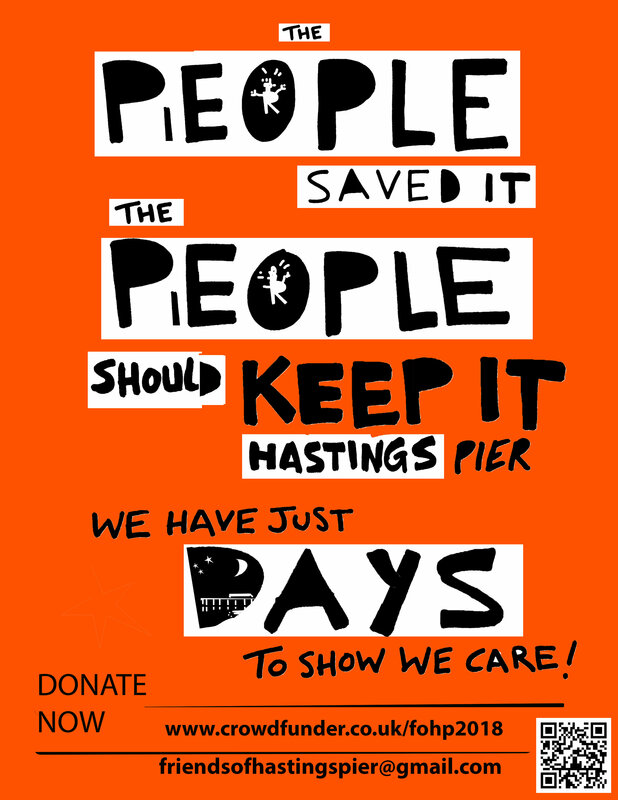 Friends of Hastings Pier have been pushed into a corner by an Administration process that is unsuitable for a community-owned asset. They have put forward alternative plans which are exciting and realistic but been told that they won’t take the bid seriously unless we have £1M available. That’s why they’re pushing this crowdfunder. Raising half a million pounds now from individuals and organisations will keep us ‘in the game’ and encourage other funders to invest alongside you to make our Pier a success. 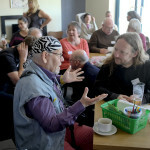 Hastings Pier has been a beacon of community-led regeneration, a pioneer in the world of community shares, and an inspiration to community groups across the country. The hazard faced is not just for Hastings; if the People’s Pier fails perceptions of community ownership will be badly damaged, even though community ownership was never the problem and is definitely part of the solution. Please help in any way you can – most obviously and most immediately by clicking the link and then spreading the word. A group of residents are asking the council if they can turn the currently vacant Old Town Hall on the High Street into an arts based community hub. The likelihood is that the local council will give it to the group at a peppercorn rent until they are up and running (if they can prove its needed). If you are interested in using the space for exhibitions, selling crafts etc, renting workspaces or running workshops, get in touch via the website. 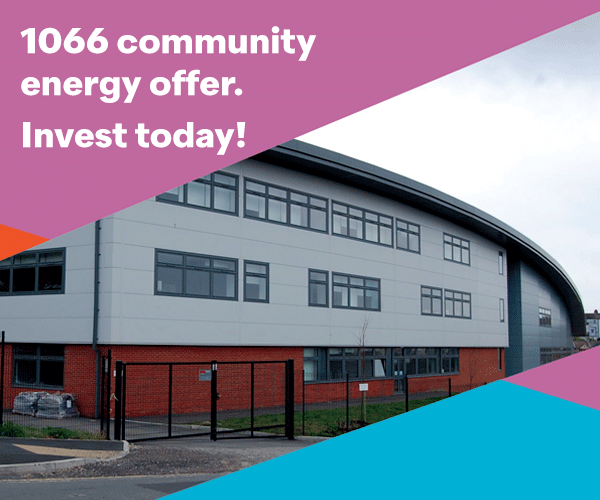 The hub will be not for profit and any rents/profit share will be at a rate affordable to all. They plan to run a couple of craft retro fairs to get some initial funds at the beginning of July this year. At a later stage they want to pay a manager to run the building. The hope is it will be open 7 days a week all day and evening. 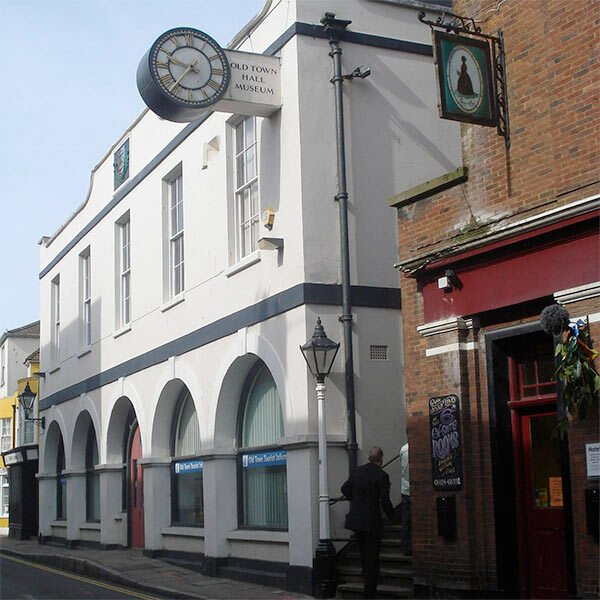 You can attend weekly meetings about the hub at 6.30pm on Mondays at Old History House, 21 Courthouse Street. 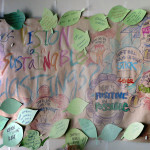 We held our first housing meeting after Ken Davis’s talk on eco-refurbishing homes. 12 people attended and the conversation was really lively. One member gave some background information about Neighbourhood Plans. She is Chair of the Tulse Hill Neighbourhood Plan in South London. Some funding was made available via Locality for some initial consultation within the area (they set up a stall in Brockwell Park). 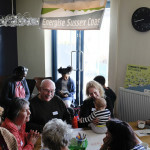 They asked one question: “If you could change anything in your neighbourhood what would it be?”. Map out an area for your plan – Tulse Hill asked all those who came ot the Brockwell Park stand and then put a pin in a map for each person to create their boundary. Once the group has 21 people committed to the plan it’s possible to apply to be a Neighbourhood Planning Forum. 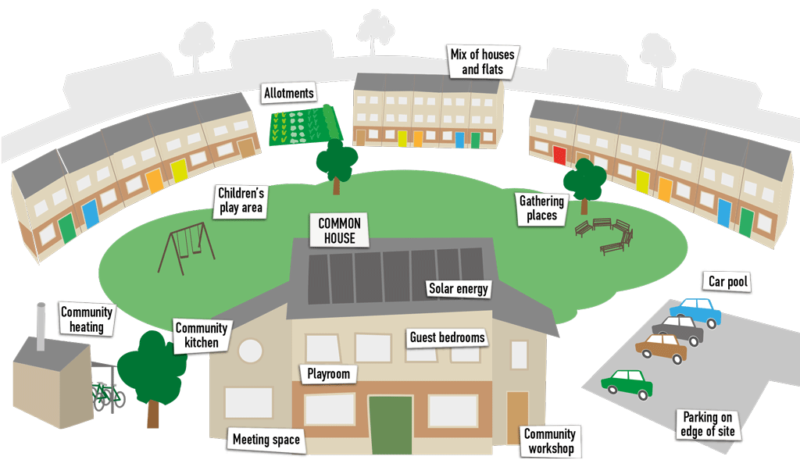 A Neighbourhood Plan must relate to the established local plan but the forum writes it’s own. The plan produced is then statutory. One attendee shared his ideas about appropriate language. He does not like the word ‘housing’ as it is not a noun. He prefers to talk about ‘making places’. He said that there are three essentials for people: Food, Community and Place. What should we call this group? 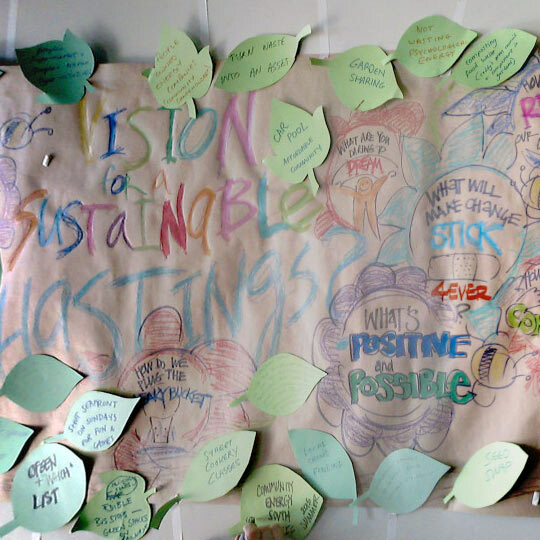 Making places, environment, neighbourhood, community… Ideas? Vision Day at the White Rock Hotel. Acknowledge the value in waste and use it. 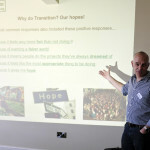 Also, the presentations about Transition Town Lewes, Community Fruit and Veg Project, Trinity Wholefoods Coop, Energise Sussex Coast and a short film of a TED talk emphasised the power of community. We were excited to discover lots of people at the event had valuable skills to offer and we hope to see these in action soon. 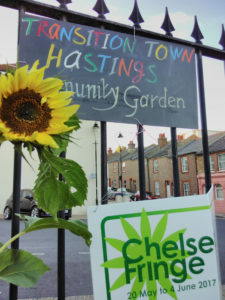 On Monday 25th May at 7pm there will be a core group Transition Town Hastings meeting in the Notley Room at the White Rock Hotel. This meeting is for those wishing to be involved in deciding the next steps. We will be looking at how we form and facilitate working groups, develop projects and raise funds. (Photos © John Cole).